إن فندق Leisure Inn Spires Hotel بموقعه الممتاز في Leura هو نقطة انطلاق جيدة لنزهاتك في بلو ماونتيينز. يمكن من هنا للضيوف الاستمتاع بسهولة الوصول إلى كل ما تقدمه هذه المدينة النابضة بالحياة. يضفي محيط الفندق اللطيف وقربه من Leuralla Toy and Railway Museum, The Leura Mall, Leura Cascades سحراً خاصاً على هذا الفندق. يقدم Leisure Inn Spires Hotel خدمات لا غبار عليها وكل أشكال اللياقة وحسن الضيافة اللازمة لإسعاد ضيوفه. تتضمن الميزات الرئيسية في هذا الفندق: واي فاي مجاني في جميع الغرف, تسجيل وصول/خروج سريع, تخزين الأمتعة, صف السيارات, غرفة عائلية. بالإضافة لهذا,تتضمن كل غرف الضيوف مجموعة واسعة من وسائل الراحة . بعض الغرف توفر حتى غرفة معيشة منفصلة, تلفزيون بشاشة مسطحة, اتصال لاسلكي بشبكة الإنترنت (مجاني), حوض الاسترخاء, غرف لغير المدخنين لإرضاء أكثر الضيوف تطلباً. يقدم الفندق مجموعة رائعة من الخدمات كمثل مسار جولف - ضمن 3 كم, حديقة، لجعل إقامتك تجربة لا تنسى. إن Leisure Inn Spires Hotel هو خيار ذكي بالنسبة للمسافرين إلى بلو ماونتيينز، بما يوفره من إقامة هادئة ومرحة. Room cleanliness poor , dirty and dusty. Used hand towel found in bathroom and not removed the next day despite telling reception. The staff was really helpful to check us in. The accommodation is very clean and it contains everything we need for our stay. It is also a walking distance to a local supermarket. However, you may need a car to go around Katoomba, it’s a little too far to walk to the tourist attractions. But it was a lovely stay. My husband and I stayed here for a weekend in the Blue Mountains. We received a free upgrade from a studio apartment to a one bedroom apartment which was much appreciated . 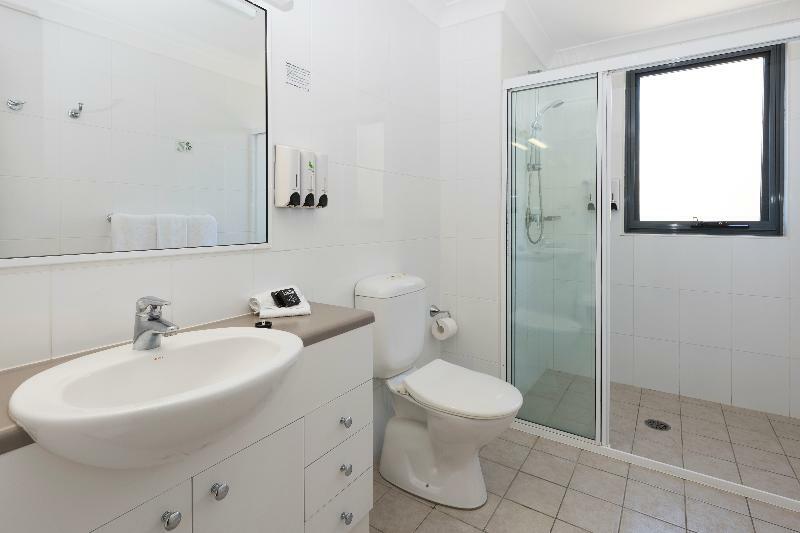 The property is ideally situated for exploring Leura and the Blue Mountains generally, the staff are fine, and the apartment was spacious and well appointed with a spa bath. The only downside is that the property is a bit tired and in need of a full refresh. Our group (27 in total) stayed in this resort for two nights during our reunion. 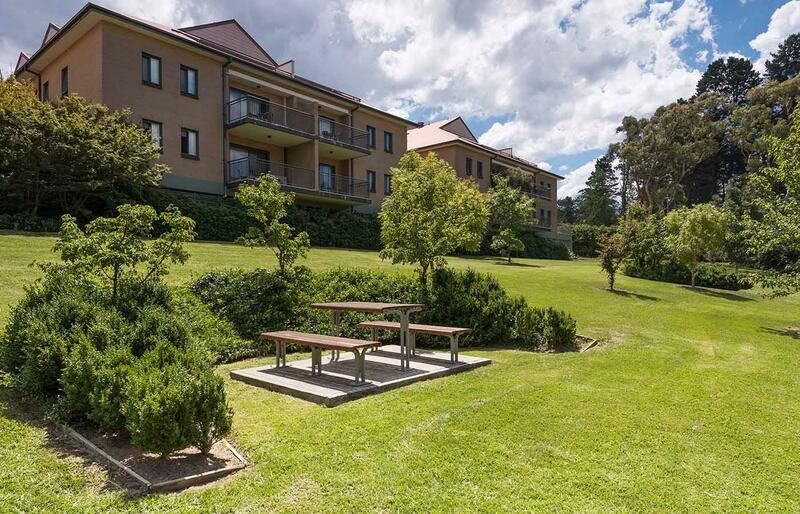 The spacious units were comfortable and convenient with easy access to Katoomba area. The staff were courteous and helpful. It was a pleasant stay. Pros first. Great location. Large rooms. Underground car park. Nice bed. Cons. Rooms old and worn out. Not cleaned properly, Still rubbish in the fridge, freezer dirty, air con filters absolutely disgusting, cupboard door in kitchen fallen off and not repaired. Old cheap carpet and blinds. Staff were super friendly and check-in was a breeze. Apartment was larger than expected and well maintained. Comfortable bedding and sofa, and the bath was amazing! An absolute bargain for the price, and we can't wait to come back. This place is spacious, but could use a good cleaning and a few fix ups. Served us well though. Nice to have somewhere to wash clothes as well—that was appreciated. This place is halfway between an apartment building and a hotel, and that never seems to be a good combination. There is very minimal signage when you arrive - we had to wander around for a while before finding the lobby, which was locked and unstaffed. The staff person who arrived 40 minutes after the 2:00 check in time seemed to also be the cleaning staff - they seemed a bit short handed. We were given two rooms in different floors even though the rooms are all built in groups of 2 with a shared laundry. Our son and my parents in law would have enjoyed being next to each other, but that was not even mentioned as an option when making the reservation. The apartments are very large and nicely laid out, and the location is very convenient. If it was more affordable or had better service we’d stay there again. As it is, we’ll try somewhere else next time. Great place to stay - proximity to everything on The Mall is very convenient. Place was clean, comfortable & safe. Undercover parking. Secure entry to apartments. Walking distance (50mts) to great pub - The Alexandra- offers great pub food. Convenient placement near rail station. No car or rail noise. It's 5 min walk from Leura train station and also has a trolley bus stop within 10 min walk. We booked 2 bedroom apt but the bedrooms are separate by doors within apt. The apt is huge, hence quite creepy at night. Otherwise, it's fine. 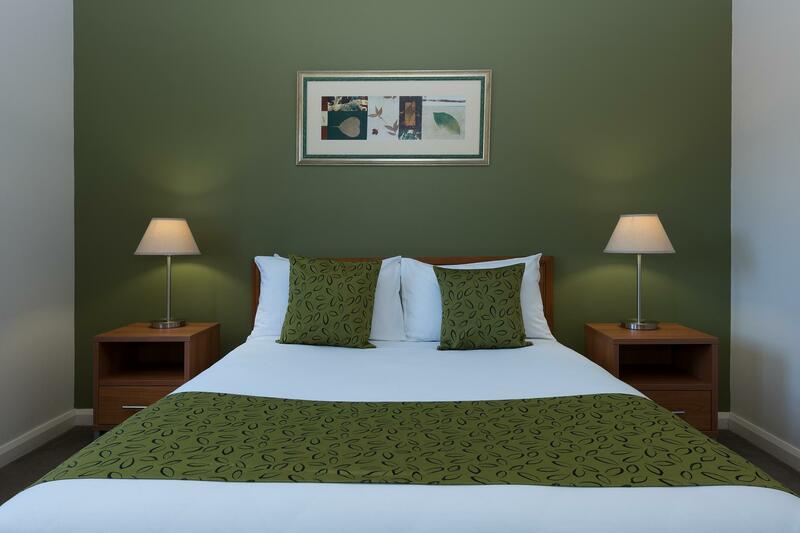 The room was very spacious and well appointed, with full kitchen facilities, lounge and large bedroom and bathroom. The location was fantastic, right at the top of Leura Mall. On the negative side, the ceiling light in the bathroom was not working. This was fixed once reported. No exhaust fan in the bathroom so after a shower the mirror was completely fogged over and the floor stayed damp and slippery all the time. The lock on the dishwasher was completely broken and gone, so the dishwasher was unusable. This was reported when we left. Would highly recommend if staying in Leura or The Blue Mountains. The stay was very good with staff very helpful in handling some small booking issues. Food rating is low only because we did not use the food facilities from the complex. We had an apartment and prepared our own food. Location is excellent to enable all the sights to be accessed very easily. Local shopping centre is only a few minutes walk away. Being located between railway and motorway, traffic noise is not disturbing when windows are closed. We had a 2-bed-room unit with spacous living room.Clean and decent furnitures, well equipped kitchen ,defintely a good choice for family .Mattress was too soft to me. Good c/p value over all. The reception area had little signage to direct us from the parking area. They had parking bay (garage) for guests. Free wifi is available for the first 250MB. Room was clean. Comfy bed. Spacious toilet. They provided me a microwave oven which was helpful as the Leura town closes by 5PM. There were a couple of restaurants that are pricey. So, they microwave helped as I went to Woolworths to grab some food to cook. Woolworths (supermarket) closes at 10PM. Overall the place was good. But it seems overpriced in my opinion. 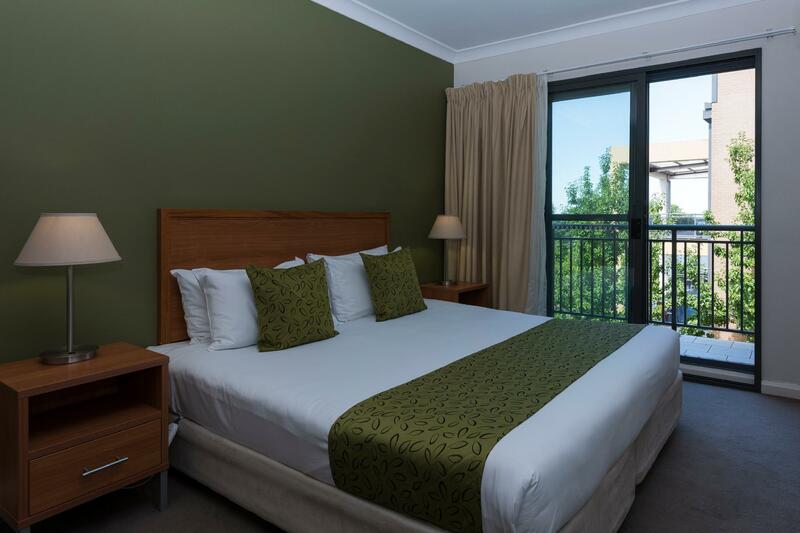 We absolutely love this hotel, due to the great location with just the Leura train station just across the road from the hotel. The room also had great amenities, equipped with microwave, kitchen cutleries, utensils and wine glasses too. It was great to have the individual unit laundry room located just across the room as well. We would definitely book this hotel for our next visit! We have stayed there for Two day for a stopover at blue mountain. 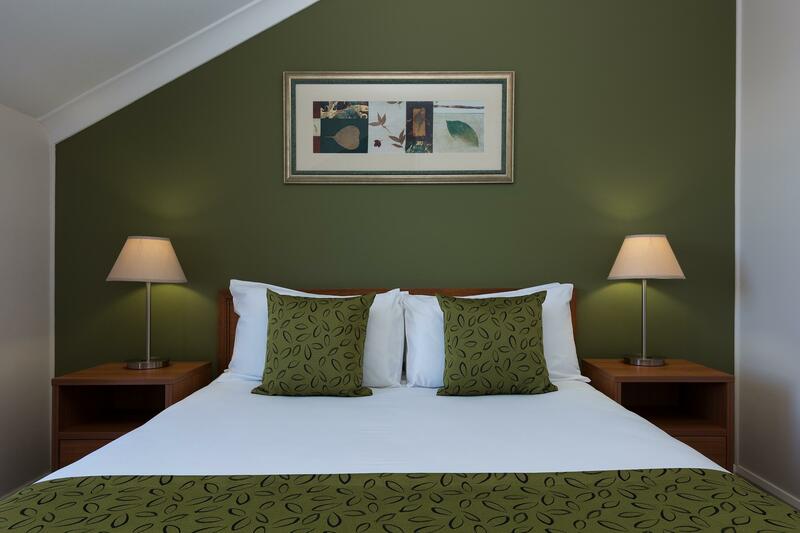 The Spires is self catering and offers two bedroom apartments, which drove our choice on this occasion. Standards are basic but acceptable, and the location at the top of the main Leura Mall is excellent. The apartment furniture is a bit old, but kitchen equipment is sufficient for us to cook in house. This is a great convenient for us.